SS/14Kyellow gold and diamonds ring, 0.0160ct of diamonds. Crafted in hammered and polished sterling silver and14K yellow gold, this ring features 16 full round cut diamonds in pave settings. The total diamond weight is approximately 0.16ct with a color of H and clarity of I1. There is also an undergallery for added beauty and comfort. I received this ring last week and as always I was not disappointed. 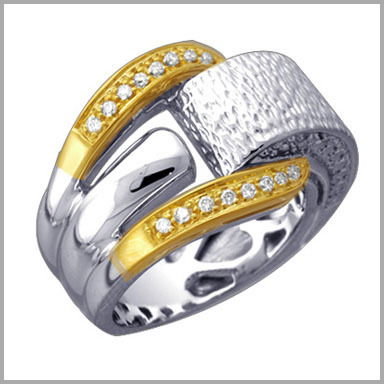 Great silver design, gold and diamond ring for the price...well made and quality is what one comes to expect from Sonia. Another great choice to add to my growing silver collection. 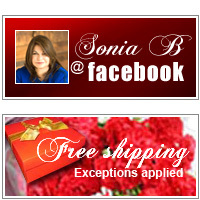 Love you Sonia! Also your girls that have helped me so much with all my questions! Great customer service!